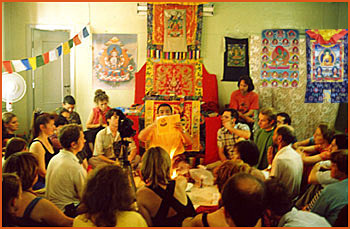 To provide a holy place for all Dharma practitioners, to create world peace and happiness for all sentient beings, and for the preservation of the Dzogchen Lineage, we request your support for the Dzogchen Retreat Center USA, founded in 2007 and operated by the nonprofit Dzogchen Shri Singha Foundation USA. The motivation of the International Dzogchen Shri Singha organizations is the peace, happiness, and enlightenment of all sentient beings, as well as the preservation of the Dzogchen Shri Singha lineage around the world. We realize that these goals cannot be met solely through individual effort. It is through organized group effort, along with a master's guidance, that these objectives will be achieved. 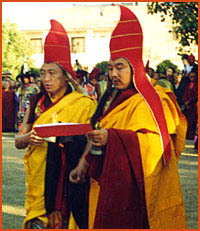 Acting under the direction of His Holiness Penor Rinpoche, Supreme Head of the Nyingma Tradition, and Venerable Chokyi Nyima Rinpoche, Dzogchen Khenpo Choga Rinpoche has begun to plan and build the International Dzogchen Shri Singha Buddhist Retreat Institute in Nepal, the birthplace of our supreme Dharma teacher, Buddha Shakyamuni. Rinpoche sincerely wishes that this retreat institute will be of genuine benefit to practitioners of the Dzogchen Lineage worldwide. We have started an educational and health development project for children in the Holy Dzogchen Area of Tibet. 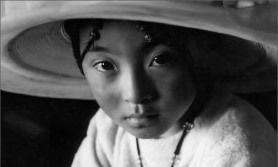 There is a pressing need for fundamental education to guarantee a stable future for Tibetan children.